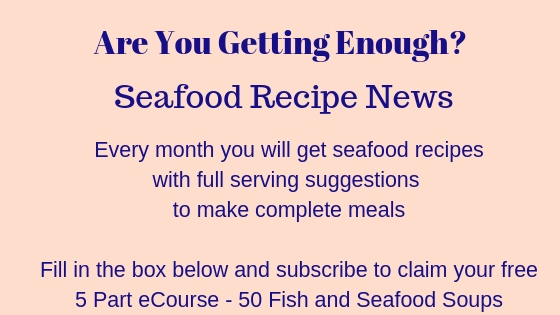 This issue of Seafood Recipe News brings you seven sensational seafood and fish sauce recipes. 'What seafood sauce can I use' is the alternate question from 'what sides can I serve with fish'. I get asked those questions most days. A general rule of thumb with any seafood recipes, is if you have a dry fish (say baked, roasted, broiled) then you'll need a saucy side - mac 'n' cheese, cauliflower cheese for example - but another option is to serve a sauce. 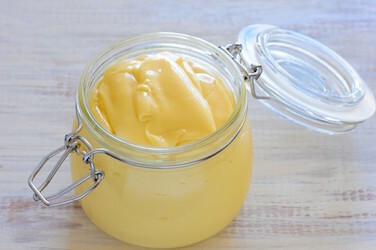 There are the classics, hollandaise and bernaise, a béchamel (white sauce) from which you can make parsley, cheese, mushroom and onion sauce, a seafood cocktail sauce, where you'll learn to make the mayonnaise base, from which you can also make tartar sauce. I've added two pasta sauces, creamy alfredo and tomato marinara - versatile fish sauce recipes, to which you can add a lot of different things and make a variety of dishes from. 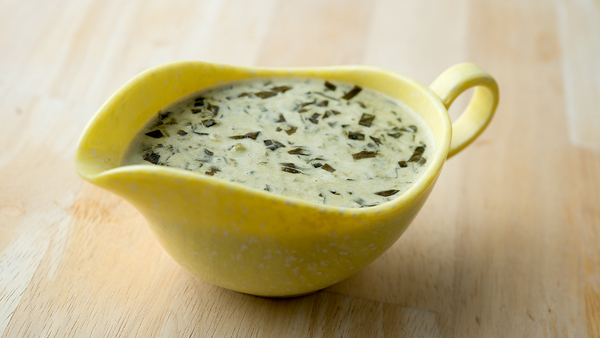 I've included a Garlic Sauce, much like the Lebanese Garlic Sauce you get in restaurants and a very classic Sorrel Sauce, that you won't see much but is such a perfect fish sauce, that you ought to try it. So, you've got at least 12 sauces here, for the price of 7! Learn how to make this fabulously tasty seafood cocktail sauce. 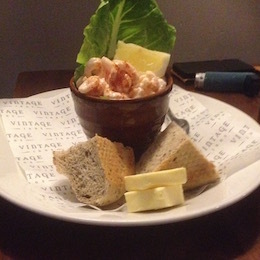 You can add shrimp, crab, lobster, a pack of mixed seafood or even use it as a dip for crudités, crackers and chips. The base is mayonnaise and there are instructions for two methods of making it - the old fashioned hand method and the blender method. Plus, you'll find out how to make tartar sauce - it's all the same base. This is a perfect seafood appetiser or you can make a larger quantity and have it as a salad with some crusty bread or hot new potatoes. Two classic warm seafood sauces - Hollandaise and Bernaise. They are not difficult to make and add a touch of luxury to any plainly cooked fish. The instructions here are for the traditional handmade version as well as a blender version. 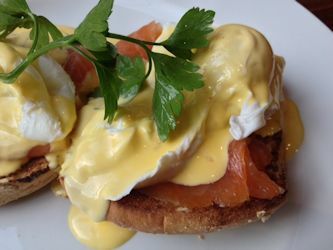 Hollandaise is the sauce served with one of my favourite breakfast dishes - Eggs Royale, which is a toasted English Muffin topped with smoked salmon, poached egg and Hollandaise sauce drizzled over. This seafood marinara recipe can be as simple as you like. 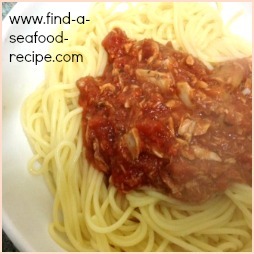 There's quite a list of different seafood in this recipe, but you could just as easily open a can of tuna and tip that into the tomato sauce base. It will be just as tasty and so easy to cook for a family meal - quicker than getting a takeaway. If I was to serve it to the family, I'd probably leave the wine out and substitute a small amount of water, just to let the sauce down if necessary. I regularly use this tomato base to add different seafood, canned, defrosted shrimp or seafood cocktail - then use that sauce to make a seafood lasagne. A basic béchamel (white) sauce is so versatile. Once you've mastered a good basic sauce, you will be able to use it for lasagnes, mac'n'cheese, to make parsley, mushroom, onion or cheese sauce, to coat vegetables, plain fish, add it to pies either with pastry or under a potato topping. 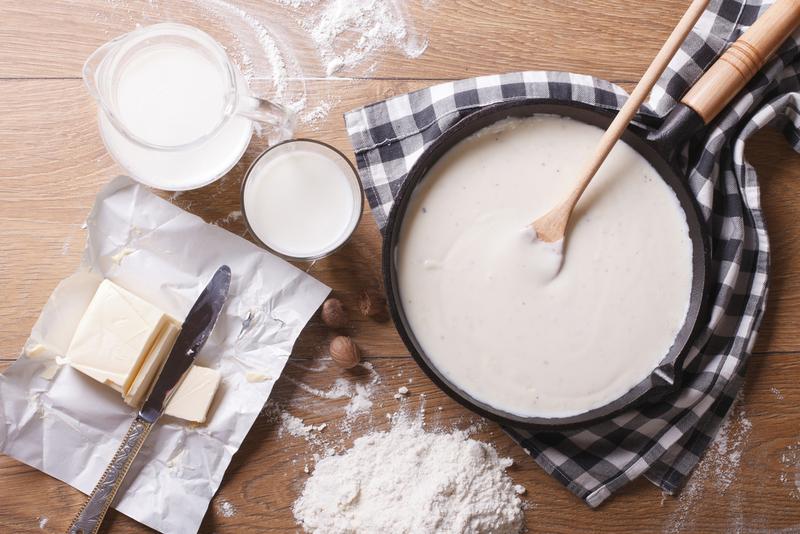 You'll be able to make your food much more interesting with this béchamel sauce. Watch this short video from Gordon Ramsay where you can see how easy it is to make the basic sauce, adding the cheese takes seconds. This will make enough sauce for a lasagne topping or coating cauliflower cheese for four. It is easy to double up quantities to make a sauce for pouring over your fish and vegetables. Now, Alfredo Sauce is not on any Weight Watchers programme - it's probably what you'd consider a 'treat' if you're counting calories, but what a treat! 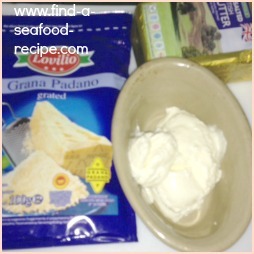 Cream, cheese and butter - stir it into cooked pasta and you've got a fabulous meal. Add some cooked seafood - either defrosted shrimp, flaked poached salmon, scallops, whatever you like. This is the glory of fish and seafood - there are so many different types, you could eat a different meal every night of the week for a year and not have to repeat yourself. Garlic and Wine sauce, this one is a mayonnaise type texture, very much like the Lebanese Garlic Sauce - you can omit the wine if you like and add a little more lemon juice, but taste as you go. This sauce is great if you were to have poached your fish in some white wine and are serving with plain vegetables or salad. The final fish sauce has to be Sorrel Sauce - a classic, very simple fish sauce that goes with salmon, megrim, sole or any of the finer fish. Sorrel is slightly acidic to taste. This recipe uses Vermouth to let down the thickness, but you could just as easily use white wine if you prefer. That can be the cooking liquor or just straight out of the bottle.